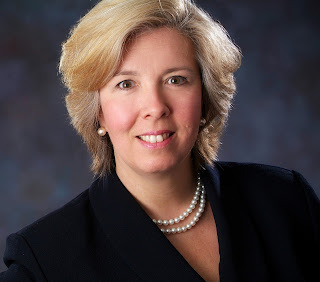 After a national search, the Girl Scouts of Central & Southern NJ’s (GSCSNJ) Board of Directors of is pleased to announce the appointment of Genevieve (Ginny) B. Marino as Chief Executive Officer. Marino will succeed Mary E. Connell, who is retiring after 32 years with the organization. Marino will join GSCSNJ on July 8, 2013. Marino assumes the leadership of GSCSNJ following an exceptional twelve year tenure with YWCA Delaware, Inc., and is in her tenth year as the Chief Executive Officer. In that capacity she led the YWCA, with staff and volunteers of 300 and a $3.5 million operating budget, to annually serve 18,000 persons with diversified programs in housing, domestic violence, economic advancement, leadership development, and racial justice and advocacy initiatives. Prior to her tenure at the YWCA, Ms. Marino held senior level positions in the banking and IT industries. She successfully developed, implemented and managed marketing communications programs for Forte Systems, LLC (West Chester, PA) focusing on e-commerce and Microsoft technologies. Marino also served as Vice President of Retail Sales at Delaware First Bank, overseeing the bank’s approximately $97 million consumer banking business. Marino earned her BA in English/Business and Technical Writing from the University of Delaware and an MBA from Wilmington University. Among her many awards, in 2011 Ms. Marino was recognized in Delaware Today Magazine as a “Woman to Watch in Business” and was honored by Wilmington Women in Business/Fresh Start Scholarship with their Inspiration Award. Press interested in learning more should contact Natasha Southerland, Chief Communications Officer at nsoutherland@gscsnj.org or call 800-582-7692 ext 121.